It’s a different kind of beauty team favourites this month! As we currently have 25% off RRP sitewide (until Thursday, June 1st), we thought it was only fair that we share our ultimate list of beauty essentials to get excited about. I have no doubt that many of you reading this will either have heard about or tried the Guerlain L’Or Makeup Base already. It’s a cult product in its own right, and I am one of many that will never be without it! A primer that can be used by all, L’Or is created with 24-carat gold flakes that smooth the skin, enhance radiance and increase the longevity of your makeup. If you’re looking to up your makeup game, then start here, you won’t regret it, I promise! It’s not often that I try a product and instantly want to buy it, but that’s exactly what happened when I discovered the NIOD Hydration Vaccine. 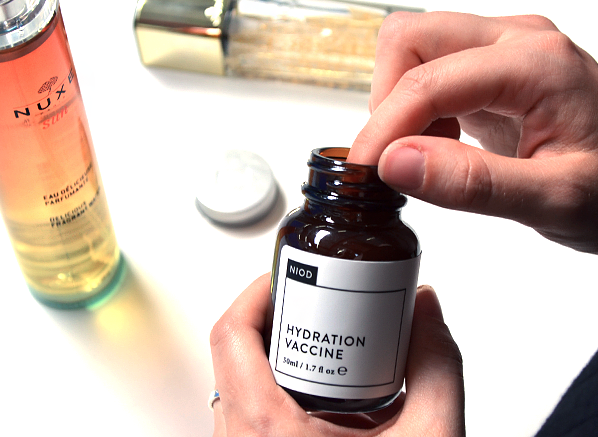 Not to be mistaken as a moisturiser, the Hydration Vaccine locks in moisture, and that’s exactly why I love it. Skincare innovation at its finest, the formula creates a protective film over the skin, which is silky smooth (it’s the perfect makeup base). If you have dehydrated skin, or like me, Eczema then this is the perfect way to ensure your skin never loses hydration. The Nuxe Sun Delicious Fragrance Water is my new obsession! Ever since it landed on my desk I have not stopped spritizing it (I even have one tucked away for my upcoming summer holiday)! But the mouthwatering aroma isn’t the only good thing about this, the Eau de Fraiche toilette is non-photosensitising, which means that it won’t react to sunlight. This is especially great if you have sensitive skin, as the alcohol in most fragrances can cause reactions, but you won’t have to worry about that here! 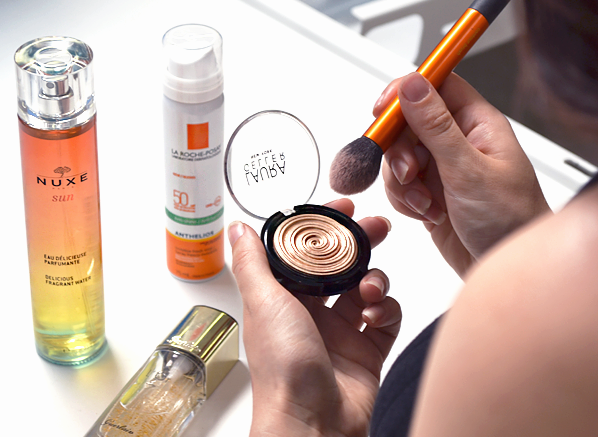 A true lover of everything that sparkles, it the seems the whole of Instagram cannot get enough of the Gilded Honey Highlighter, and I don’t blame them either. More shimmer than sparkle, its warming undertone never ever fails me as I can always count on its subtle sheen to give life to my complexion, even when I have to be out of the door at 6:30am on a Tuesday. This brand new love affair has stemmed from a spontaneous primer trial that resulted in a few ‘what have you done differently to your makeup’ questions – which I always love to hear. 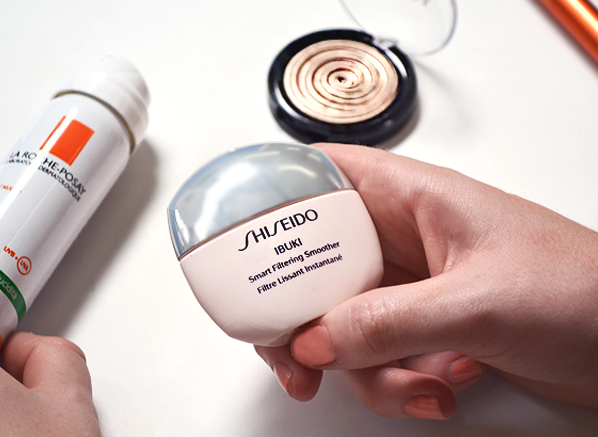 The words ‘Smart Filtering Smoother’ are completely true, it blurs, it balances and most of all, it makes your skin look a lot better in pictures too! If all you want is to protect your skin without messing around with creams and potions, you need this. What I love about this mist is it’s the easiest way to protect your skin from UVA/UVB rays, pollution and the acceleration of the ageing process. It also fits perfectly in my handbag, so top ups are effortless and re-applying the La Roche-Posay Anthelios Anti-Shine Invisible Fresh Mist Spray SPF50+ doesn’t interfere with my make-up- which is a bonus. This entry was posted on Monday, May 29th, 2017 at 9:48 am and is filed under Fragrance, French Pharmacy, Make-up, Monthly Favourites, New products, Offers, Skincare, Tried & Tested. You can follow any responses to this entry through the RSS 2.0 feed. You can skip to the end and leave a response. Pinging is currently not allowed.